Animated short films are transcendent. A memorable one transcends time, age, gender, language and all the other beautiful intricacies that make us human. When we enter the magical world of an animated short, we forget about what sets us apart and remember what brings us together. This profound emotional bond that we experience is sparked by the screenwriter. Watching an animated short feels incredibly nostalgic. These charming tales take us back to pivotal childhood moments like overcoming our first fears and developing our first crushes as showcased in, IN A HEARTBEAT. We’ve all been there. On a rollercoaster of embarrassment, excitement, and uncertainty. It’s brave and honest animated short films like IN A HEARTBEAT that remind us to love is to be human. Love transcends, too. Pixar has provided aspiring writers with seemingly flawless storytelling since the 1980s. From the classic GERI’S GAME to the academy award-winning PIPER to the most recently beloved BAO – we vividly remember these shorts that debuted before the big feature presentation. Often times we cherish them more than the actual feature. Why is that? Within the 5 to 15 minutes that we find ourselves in these unique universes, we are invited to engage in an authentic, universal human experience. As the screenwriter, you are tasked to create an intense and meaningful bond in a limited amount of time. When you write an animated short script, you’re essentially writing about a core moment. Your story concerns what is happening right now. It’s not stuck in the past or propelled into the future. Short films challenge us to be mindful and focused on one singular objective. 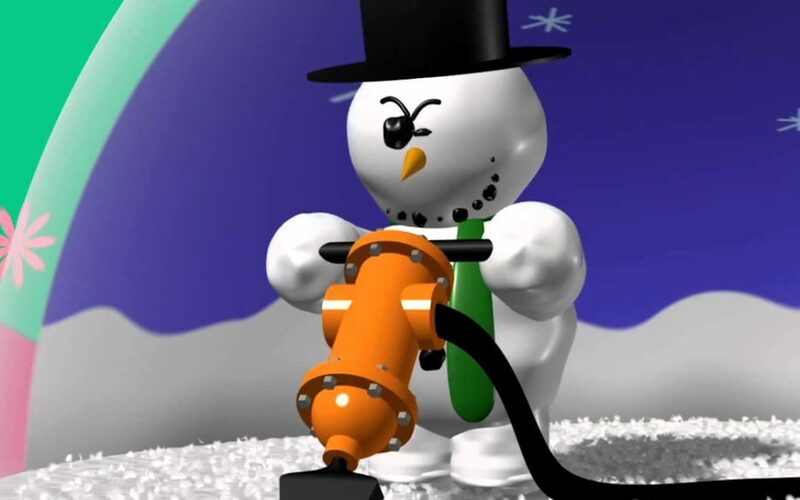 The animated short KNICK KNACK is about a snowman trying to escape his cold, boring snowglobe. He longs to break free and attend a warm, fun beach party with the summer knick knacks on the other side of the shelf. The fear of missing out is his core moment. The phenomenon that the sun is always sunnier on the other side of the snowglobe, is a relatable human struggle. We’ve all wanted something we can’t have. At its core the story idea is simple. What makes it compelling and layered is the obstacles the character has to overcome in order to survive this moment. We get invested in the moment because whatever the character is chasing after and the choices they make are not straightforward. The journey is complex, mirroring the human experience. Most characters in animated shorts are incredibly specific. Some aren’t even human, but we can empathize with these beings because they embody the same struggles and characteristics that people do. In PARTLY CLOUDY we empathize with a stormy cloud who’s the black sheep of the sky. The POV of BAO is a Chinese-American family. Although not all of us were raised in a Chinese-American household, we can relate to the core moment of a mother letting go of her child and coping with an empty nest. We can understand the universal message of a child leaving home and becoming an adult. The writer of BAO incorporates her cultural sentiment of making dumplings (a delicate, tedious process) to represent the complexity of parenthood. It speaks on the delicate change of growing up. When studying other animated shorts, you’ll find that dialogue is used sparingly – if at all. Show more, say much less. Animation focuses its storytelling on the visuals and in the character’s actions. Perhaps this is because spoken word is not entirely universal. Whereas a grunt, a giggle, shedding a tear or giving a hug are all forms of expression that are distinctly human. In GERI’S GAME no words are exchanged between the chess match opponents. Geri is playing the game against himself, symbolizing man vs. himself conflict. The audience knows where Geri and his alter ego stand because of Geri’s behaviors and frustrations. We fully understand his frustration because we too have been at battle with ourselves. We too have debated our next moves. We feel compelled to follow along with Geri because we are interested to see how he conquers this tense core moment. Animated short films are the fun-size candy bar of screenwriting. You get the full flavor of writing a script in a concise, bite-sized message. Some write animated shorts as batting practice before pitching their animated feature. Writing in this medium is an excellent experiment in showcasing your talent and honing your craft. Regardless of time and space, remember that, above all, we write animated shorts to connect with our audience in an original, emotional and visual way. We write animated shorts to ignite a transcendent experience. Love the details and insights on Animated Shorts! Keep up the good work and provding some great ideas.